Marketing by name – Where next for UKIP and Music Magpie? We are regularly asked where our company name stems from and many are surprised to hear that it was not our first choice; in fact it was some way down quite a varied list. To arrive at our name, we considered two things, both related to marketing. Firstly, we looked at whether the company name and identical domain name were available and then we considered what it said about our business. Did it restrict us or did if offer a degree of flexibility? Recenseo is Latin for ‘review’ and we felt this concept, and its uniqueness absolutely fits our purpose and ethos. Some may argue that it does not say what we do and maybe we should be ‘ABC Marketing and PR’; but we felt that Orange and Virgin had made a pretty good stab of it without selling fruit and the virtuous, and so we considered we would be in good company. We’re eight years in now and the name has not held us back. The market, even the world, has changed a fair amount, but because we chose carefully and did not go for something too ‘in the moment and trendy’ our name remains relevant and unique today. 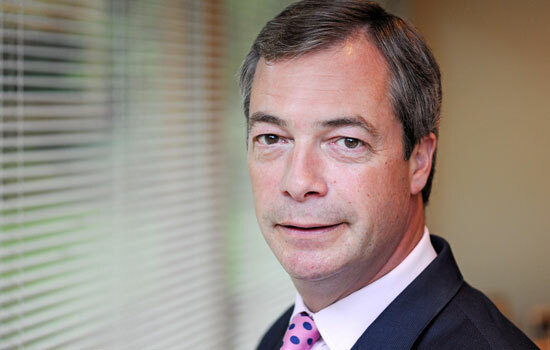 Getting it wrong – where next for UKIP? Another good example of ‘getting it wrong’ where business names are concerned is Music Magpie. Rising to fame around 10 years ago, Music Magpie provided a means of turning all your old, cumbersome music CD’s into money. It developed a barcode powered quoting app and enjoyed rapid growth as we freed up space on our bookcases and shelves and turned each CD into the price of a song on iTunes. Music Magpie identified a demand and fulfilled it – very well. But, if you have seen any of its recent media ads you will have noticed that Music Magpie now buys and sells a huge range of items, at one time even offering to trade clothes! That’s not in the name…! Yes, it is still going, but as a generation of consumers we were conditioned into selling it our CDs. Now the CDs are all gone, would you immediately consider Music Magpie as an outlet for a games console or mobile phone? Would you go to it to buy goods? Maybe not. So when people ask ‘what’s in a name’, we would argue that it is probably the first piece of marketing activity you undertake when you start a business. So take time and get it right. Otherwise it can be the undoing of you. Or in the case of UKIP it could make things extremely difficult even when you are actually achieving your aims and objectives…!